Kedleston Windows are based in Derby, Derbyshire. We are a family run business who have been trading since 1996. All work is completed by in-house installers and not outsourced, meaning that you receive a guaranteed professional and high quality service. We supply and fit a range of uPVC and aluminium doors and windows as well as conservatories, porches, orangeries, lantern roofs and roofline products. 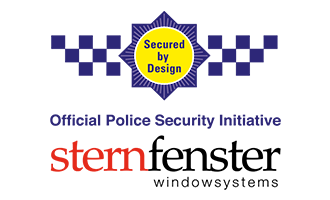 We are proud to be accredited by FENSA, Secured By Design, BSI, CERTASS, Stroma and Derbyshire Trusted Traders. We also offer a 10 year guarantee on our products and workmanship. Get instant double glazing prices online for your windows, doors or conservatory. Orangeries offer a slightly different take on traditional conservatories. An Ultraframe orangery is a great way to add conservatory-style light and space to your home. The orangery is basically a classic, atrium-style conservatory. Kedleston Windows prides itself on providing excellent customer care and the best double glazing products in Derby, Allestree, Duffield, Etwall, Willington, Belper, Repton, Darley Abbey and across Derbyshire. We strive to offer the best price for the highest quality product. We supply cutting edge Sternfenster products, the first in the UK to offer a seamless weld on uPVC windows and doors. We also work with Residence 9, Deceuninck and StyleLine, offering high quality. windows and doors. Kedleston Windows are fully accredited local home improvement experts. Quality and satisfaction guaranteed. We offer a vast selection of styles and colours, meaning we are sure to have something to suit both your budget and your tastes. Our entire range of Windows, Doors and Conservatories is tested and approved before installation. We offer a 10 year guarantee on all our products and workmanship. We never outsource work. Trust in our quality installations that have given our company a fantastic local reputation. All our windows are thermally efficient and it depends on your choice of double glazing product as to how much you could save on your energy bills. You can get an idea of how much you could save by going to the trade association GGF (Glass & Glazing Federation) where there is a useful online calculator. Triple glazing works in two ways, keeping heat inside your home and preventing cold from getting in from the outside using advanced technology. It is usually most suited to the north facing elevation of your home as less heat will be coming into your home from the sun. Triple glazing is also the best choice for sound insulation, meaning that it is particularly good for you if you live near an airport, busy road, or trainline. The extra layer of glass acts as an additional barrier, sound proofing your home. Can I get different coloured uPVC windows? We offer an extensive range of colours for our uPVC windows and you can also choose uPVC doors to match. For more information on which colours are available for the products you have chosen, please contact us. Can I have new windows in a conservation area? Yes, you can! We offer a range of Residence 9 windows and doors that are suitable for conservation areas. They have a traditional appearance that suits your property and its surroundings with all the added benefits of modern technology. We can give you a free, no obligation quote using our online quote calculator. You can tailor your quote to your bespoke requirements. It’s easy to use and just takes a few minutes. You can also contact us to discuss your options and the prices that are available for fulfilling your double glazing needs.